The Bolt B75 Portable SSD is a tribute to "form follows function." Who else feels a dash of inspiration and nostalgia when they look at vintage airplanes? You wouldn't be the only one. In fact, when you gaze upon the Junkers F.13, an impressive German transport plane born nearly a century ago, you'll discover a little secret. 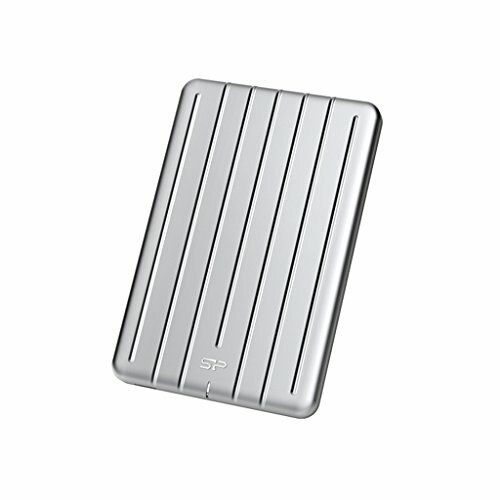 Its corrugated duralumin metal skin inspired the Silicon Power design team to add unbending ridges to this portable SSD. Why? Because the ridges add strength, sharpness, and spirit. Where will inspiration take you? To the edge of your map.